Spruce up an office space with this beautiful desk pen set. 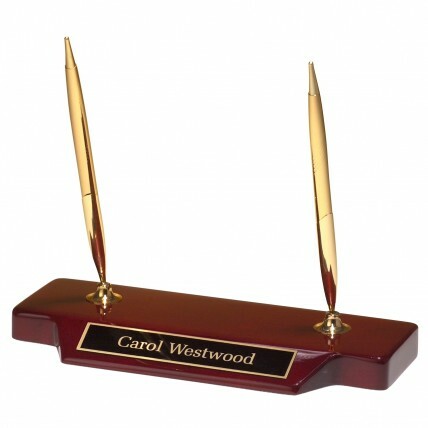 Made with high gloss piano finish rosewood, the Rosewood Double Pen Set comes with two gold tone pens, and an engraved personalized name plate. The Rosewood desk pen set is a great gift for a new executive, parting gift for a retiree, or a great, useful addition to any desk!